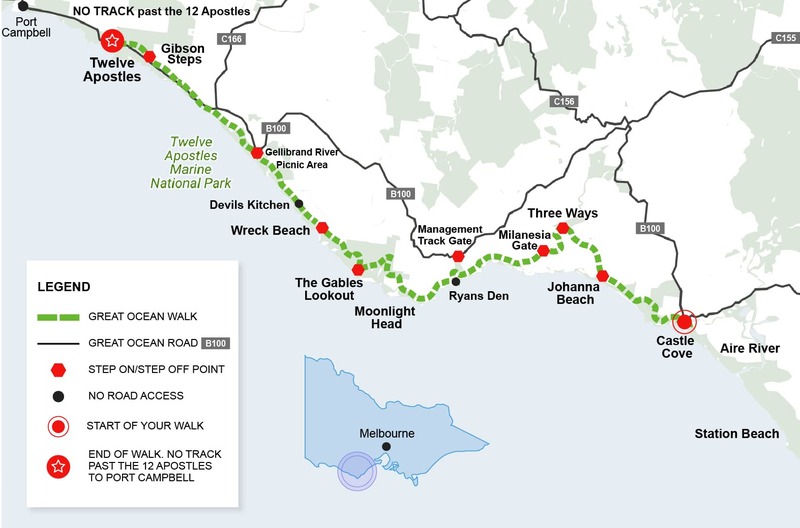 The 12 Apostles Walk is the isolated and rugged final three days of the Great Ocean Walk. 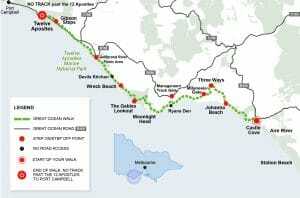 This challenging 53.5km walk is known as the 'Wild Side' and is the perfect walk for the adventurer short on time. You'll end your trip at the iconic Twelve Apostles. Accommodation: Private 3 bedroom lodge (queen or twin beds available). Sleeps up to 6 people. We’ll give you a packed lunch for your first day’s walk. This section of the walk features rocky escarpments and coastal views. You will pass heath land, wild flowers and grass trees. Be prepared for some beach walking as you drop down onto Johanna Beach. Look out for birds such as the majestic wedge-tailed eagles and white bellied sea eagles. Then you climb upwards alongside picturesque farmland valley before heading towards Milanesia. This wonderful accommodation is in a great location close to the Great Otway National Park and offers sweeping views of the bush and the surrounding countryside. Relax in the evening with private views of the valley looking west towards glorious sunsets. Kangaroos graze close to the property in the late afternoons. Your comfortable accommodation is en suite with a living room area and a well-equipped kitchen with tea / coffee making facilities. The accommodation hosts are happy to share their knowledge and love of this magical place with you. Meals: Dinner, continental breakfast and pack lunch for day 2 is included. It’s important to be prepared for your walk. See the FAQ page for tips.